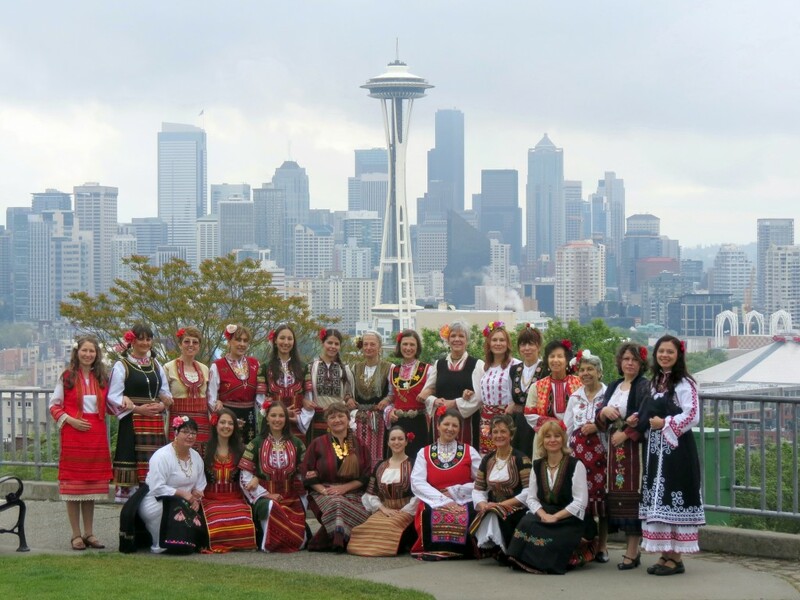 Bulgarian Voices of Seattle Women’s choir devoted its 2013-14 season to the Songs of Our Families Bulgarian Heritage Project. The project included four main components. Many of the choir members explored with their families what songs they remember and the memories attached to those songs. Equally important as the songs, are the meaningful experiences the sings had with their families as sweet memories surfaced. Each singer wrote a blog entry about how the Songs of Our Families project touched them and their families. Read these delightful entries here. 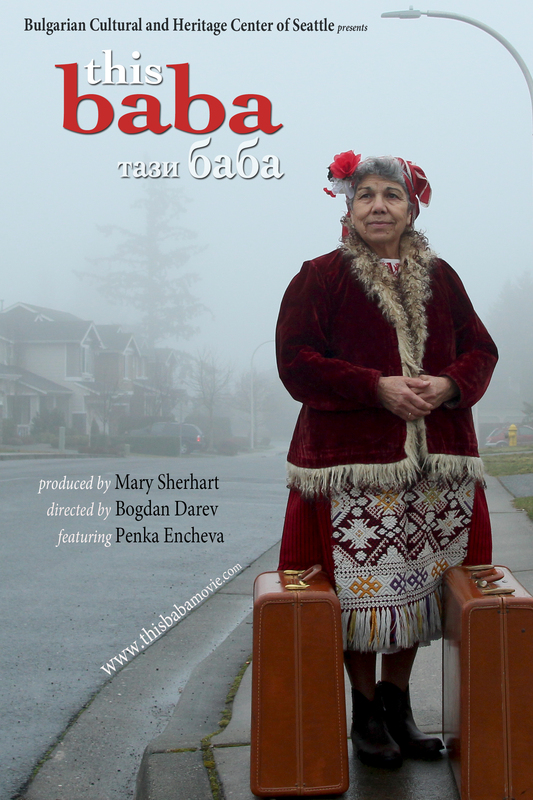 On May 10, 2014, Bulgarian Voices produced a sold out full length concert and This Baba film screening at Carco Theater in Renton, Washington. Songs learned from family members, beloved songs and spring songs were performed with a variety of musicians and guest singers. “This Baba” is a 30-minute documentary film by Bogdn Darev about Bulgarian Voices singer Penka Encheva. The film has been screened in Seattle, San Francisco, San Diego and two folklore camps in the Mendocino Woodlands. There are plans to screen it in Chicago, Washington DC, New York and other cities. It has received international press attention, as well. Current screening schedule can be found at the film’s website. The film weaves personal reminiscences and song together to share the fabric of this one grandmother’s life. Penka joined Bulgarian Voices in 2012. When the choir first heard her voice they were stunned. Here was a living treasure of Bulgarian song in their midst. The purity, simplicity and integrity with which she sings reflect a style and approach quickly disappearing with the older generation of singers. Penka had been an amateur singer in Bulgaria in the 1960’s. At the time, her late husband urged her to collect recordings she made with radio and television, but as a middle school teacher in Plovdiv and a mother, Penka’s life took her in another direction. Now only one recording remains. Penka came to America in 2010 at age 67 to live with her daughter’s family and help care for her two beautiful grandsons. She thought her singing life was long over, but the Bulgarian Voices of Seattle Women’s Choir brought it back to her. Filmmaker Bogdan Darev fell in love with the movies in his early childhood in Bulgaria. Since then, he has discovered a passion for writing, music and Bulgarian folklore. His films facilitate a union between all the arts while celebrating the diversity, wonder and inherent beauty of the human spirit. Some of Bogdan’s clients include Seattle Opera, Bulgarian Cultural and Heritage Center of Seattle, and other non-profits. PENKA ENCHEVA AND FRIENDS CD A 17-track CD was recorded over the course of the year. It was supported in part by Jack Straw Cultural Center Artist Residency Program. The CD features Baba Penka singing songs learned from family and friends over the course of her lifetime. She sings a capella, in duet with her daughter, with Bulgarian Voices of Seattle Women’s Choir and with a number of special guest artists including: Jody Rush (vocals), Vladimir Mollov (accordion) and his brother Hristo Mollov (clarinet), Michael Lawson (accordion), David Bilides (kaval and tambura) and Aleksandr Eppler (kaval). ABOUT THE CHOIR Bulgarian Voices of Seattle Women’s Choir, formed in 2011, directed by Mary Sherhart, is a program within the Bulgarian Cultural and Heritage Center of Seattle. Its 35 members are all women born in Bulgaria. They range in age from 23 to 79. In addition to singing folk songs and choral arrangements based on folk songs, the women teach each other about customs and holiday rituals, and share their knowledge in the community through concerts and events. The choir members cherish weekly rehearsals that give them the opportunity to be together with other Bulgarian women, away from the stresses and strains of family, work and immigrant life. The Bulgarian Cultural and Heritage Center of Seattle (BCHCS) is a nonprofit organization formed in 2011 to establish, organize, support, and promote events related to traditional and contemporary Bulgarian culture, to preserve Bulgarian heritage in the greater Seattle area; to engage, educate and outreach to the Bulgarian and greater Seattle community; and collaborate with other organizations to promote Bulgarian culture and heritage.